Ivatex — a cooperative of textile industry players in Burkina Faso — currently manages the local commercialisation of organic cotton threads. 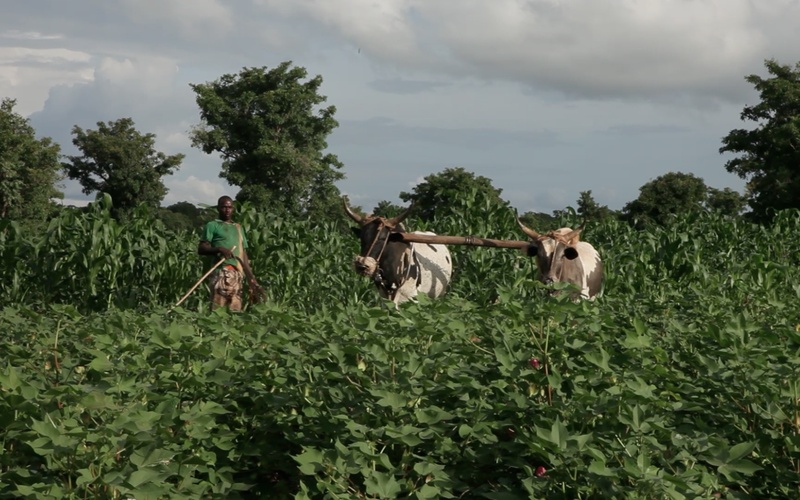 For sourcing, Afrika Tiss gives preference to Ivatex organic cotton threads, as chemical free farming offers several social, health, and environmental benefits. Using organic cotton is also a way to encourage working women. 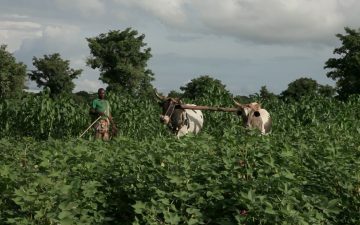 As the pesticides that are usually used in cotton growing areas are toxic, women are excluded from working in the farming sector. As organic cotton farming does not use chemical substances, it offers a significant advantage — enabling women to work in the fields again. Dyers use highly toxic dyes and chemical products without taking precautions. They do this in private courtyards which are also spaces that families use. 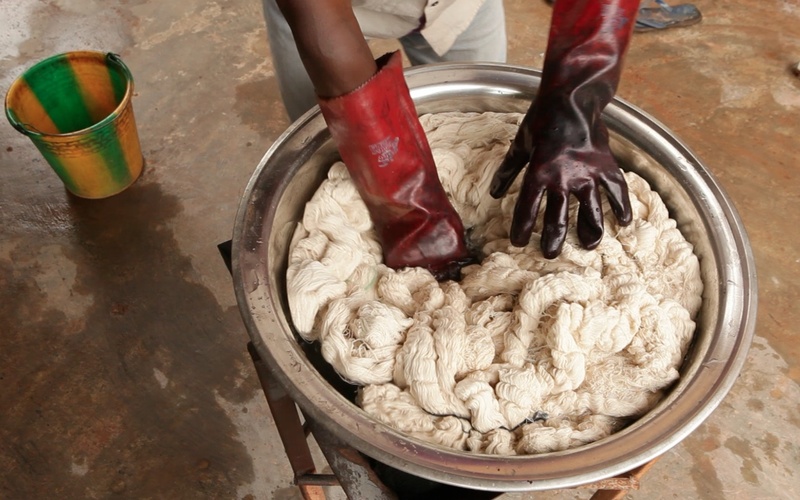 To counteract these practices that are widespread across the country, the Centre promotes alternative dyeing methods, including the use of synthetic dyes. Research is conducted to test natural additives that may replace the hydrosulfite and caustic soda in chemical dyes. Solutions to make it easier for women dyers to obtain OEKO TEX certified ecological dyes are also under consideration. The idea is to encourage the development of an organic and freetrade textile industry that could be GOTS certified in the long term. Natural dyes were replaced by synthetic dyes, but there is now renewed interest in natural dyes. 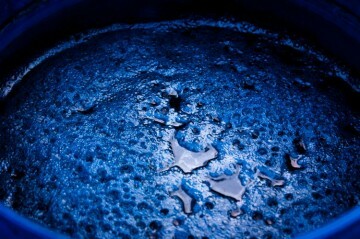 They are recovering commercial value as an alternative non-toxic and renewable method of dyeing. The use of natural dyes also promotes and preserves age-old know-how and deep local knowledge on the virtues of plants, including their dyeing properties. 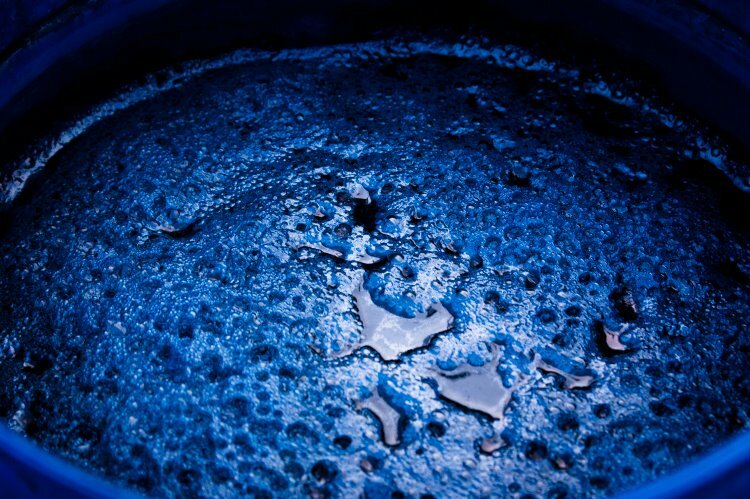 In partnership with Colore ton monde, a French association for natural colour practitioners, Afrika Tiss offers training programmes to master the various natural dyeing techniques — mordant and fermentation dyeing with local tinctorial plants or extracts of imported plants.